The lunar eclipse in its fullness, as seen at 500 mm. 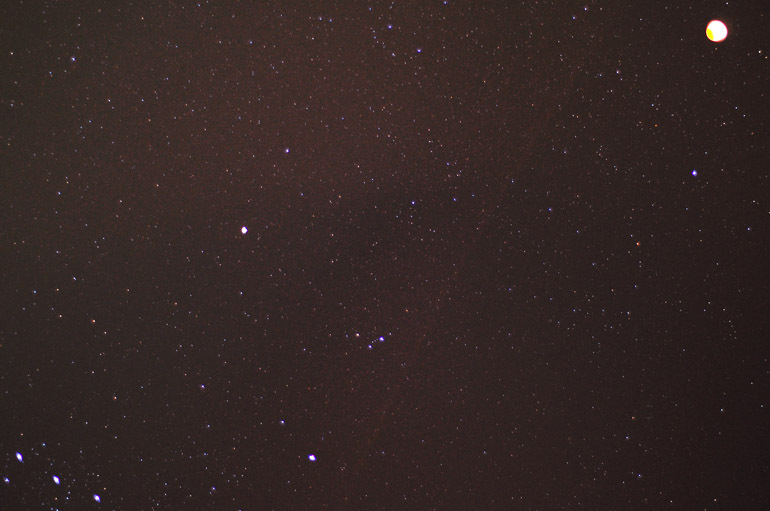 In this shot with a 50-mm lens, the moon is eclipsed in the top right corner, and Orion's belt hangs out in the bottom left. I have once again fallen behind in the posting of photos, even in the taking of photos. It must be my advancing age -- 27 next month! -- that is eating away at my desire to stay up overnight and gaze at the dark sky, trying to find an object in it to photograph. On Dec. 21, something happened that I had been waiting all year for. 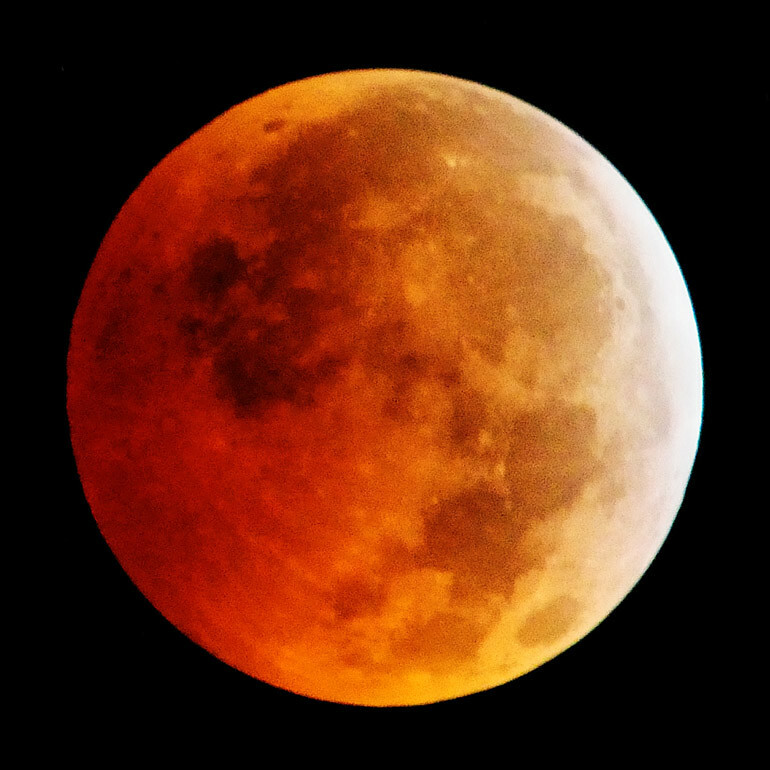 I even posted on Facebook in January 2010 that a year of celestial events -- including a comet passage that, if I had gotten up early in the morning for, I would've seen -- would be culminated with a lunar eclipse. But when it came the morning of Dec. 21, I was sick and tired and not feeling capable of keeping my eyes open for all the various phases of the moon as it was shadowed by Earth. The plan was to capture each stage, then construct a panorama out of all the images. And in addition to my exhaustion, it was freezing out. Instead, I set my alarm clock and went to sleep. I awoke to step onto my porch and take a few telephoto shots of the orange moon and a wide-angle view. And then it was bedtime again.